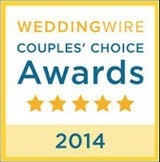 WeddingWire and The Knot, two of the nation’s leading online wedding sites have both announced that Le Limo Limousine has been voted recipient of their highest award for service and excellence. The recognition, the WeddingWire Couples’ Choice Awards 2014 and The Knot Best of Weddings 2014, are for exceptional wedding transportation. The awards recognize only elite wedding professionals who demonstrate superior quality, service, responsiveness and professionalism. Le Limo, who is listed as one of the Top 100 Limousine Companies in the country by LCT magazine, serves the greater Boston, MetroWest and Worcester community. The company has a varied fleet that includes stretch limousines, party buses, executive coach, Mercedes Sprinters, stretch SUVs, sedans, a 1960 Silver Cloud Rolls Royce and a custom-built trolley. Since 1986 Le Limo has set the quality standard as the area’s premium limousine company. While the organization has built its reputation serving the wedding industry, additionally, they offer a full range of services to corporations, business travelers, airport drop off and pick up and premier night on the town transportation. The company’s corporate mission is to return customers to an era of unparalleled luxury. Le Limo competed with hundreds of thousands of service providers who were eligible for this recognition. We are privileged to be one of the top Limousine providers in area. 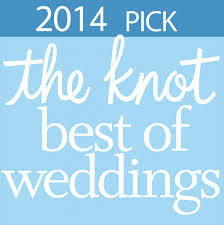 Results were compiled from the leading wedding sites such as WeddingWire, TheKnot, Martha Stewart Weddings, WeddingChannel, Project Wedding, Brides.com, and Weddingbee. We would like to thank our past clients for taking the time to review our business online.